Illustrated details of interiors and exteriors of pyramids, construction, and their true purposes. The new expanded edition provides complete information about the pyramids of Ancient Egypt in the Giza Plateau. It contains the locations and dimensions of interiors and exteriors of these pyramids; the history and builders of the pyramids; theories of construction; theories on their purpose and function; the sacred geometry that was incorporated into the design of the pyramids; and much, much more. It also includes details of the interiors and exteriors of the Saqqara’s Zoser Stepped “Pyramid” as well as the three Snefru Pyramids that were built prior to the Giza Pyramids. It also discusses the “Pyramid Texts” and the works of the great pharaohs who followed the pharaohs of the Pyramid Age. From a distance, what we have learned about the pyramids may appear factual; but once we examine this information closer, it proves to be otherwise. 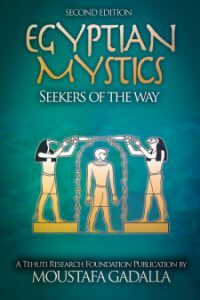 This book is intended to undo many false perceptions about the Ancient Egyptians’ pyramids. 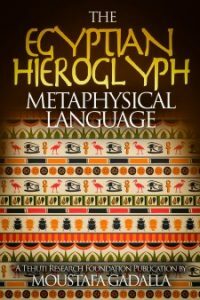 This book provides a fresh look at the interiors and exteriors of Egypt’s masonry pyramids, theories of construction, their purpose and function, and the sacred geometry of their design. 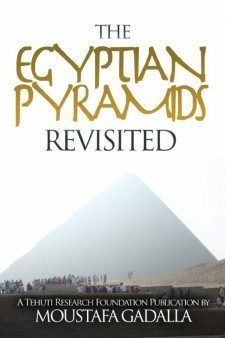 This book is a revised and enhanced third edition of the second edition (entitled Pyramid Handbook) which was an update of the first edition, Pyramid Illusions: A Journey to the Truth, by Moustafa Gadalla. This new third edition expands and adds to previous texts of the prior edition. We also added a large number of photographs that compliment the text materials throughout the book. This expanded edition of the book consists of seven fully illustrated parts, with a total of 18 chapters. Chapter 1: The Background provides a short opening statement about the common “theories” and the counterpoints, based on actual facts. Chapter 2: The Genuine Masonry Pyramids provides a list of the Egyptian pyramids that were built during the Fourth dynasty about 4,500 years ago. Chapter 3: Stepped “Pyramid” of Zoser covers details of its super-structure and its underground chambers. Chapter 4: The Fictional Tombs covers the details of a typical Ancient Egyptian tomb and how totally different it is from the interiors of the Egyptian masonry pyramids of the Fourth Dynasty. Chapter 5: The Pyramid Complex shows how the Egyptian pyramid was a component of a complex that was connected to other temples; and the differences in functions and forms between a pyramid and a temple; as well as the energetic proportioning of such structures. Chapter 6: Pyramid Power covers the form variations of the Egyptian masonry pyramids; and how such forms attract, maintain and channel cosmic energies. Chapter 7: The Flawed “Common Theory”covers the details of the Common ‘Theory”; the unidentified “source” of quarried blocks; the impossibilities of cutting and shaping the pyramid blocks; the impossible logistics of the fabricated ramps theory; the conveniently-ignored three immense Pyramids of Snefru; and a summation refuting the western-made “Common Theory”. Chapter 8: The Material Facts covers Herodotus’ accounts of pyramid construction; Egyptian molding techniques; the differences between synthetic and natural blocks; the various types of synthetic concrete blocks; the unique qualities of the pyramids’ casing stones; and additional evidential facts of synthetic pyramid blocks; as well as bringing to light the even more outstanding details of the earlier incredible masonry works of Saqqara. Chapter 9: Snefru’s Meidum Pyramid covers its detailed exteriors and interiors. Chapter 10: Snefru’s Bent Pyramid covers its detailed exteriors and interiors. Chapter 11: Snefru’s Red Pyramid covers its detailed exteriors and interiors. Chapter 12: The Giza Plateau provides an overall diagram of the main points of interest in the Giza Plateau. Chapter 13: Khufu’s Great Pyramid covers its detailed exteriors and interiors. Chapter 14: Khafra’s Pyramid covers its detailed exteriors and interiors. Chapter 15: Menkaura’s Pyramid covers its detailed exteriors and interiors. Chapter 16: Mission Accomplished concludes the Egyptians’ objectives of building the pyramids. Chapter 17: “Pyramid” Texts covers the origin of such incorrectly Western characterization of such texts. 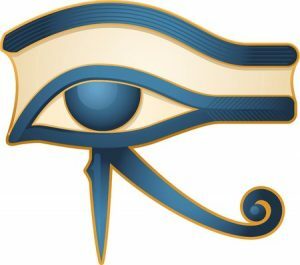 Chapter 18: The Greatest Pharaohs That Followed provides accounts of subsequent, more powerful, and great builders who never built a pyramid because the real objectives of building pyramids were achieved during the era of the Fourth dynasty. Join us on our journey to find the truth—the WHOLE truth—about the pyramids. Read this book as an unbiased, fair juror.